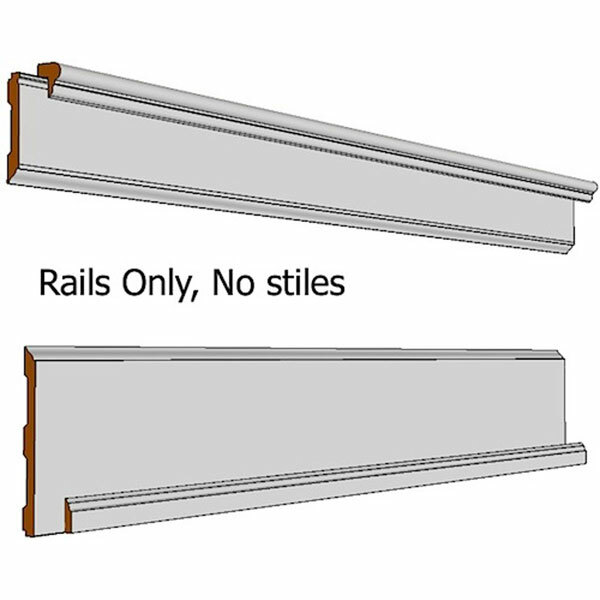 Elite Wall Paneled Wainscoting 8 ft Rail Kit, consisting of every thing you need for an eight foot section of running wall including one 8' length of: cap trim; upper rail; base/lower rail; and shoe molding; (no stiles). All packed in protective boxes and ready to go for quick shipping. The horizontal rails are made from primed MDF and the cap and shoe trims are made from primed, finger joined Poplar for better impact and moisture resistance.